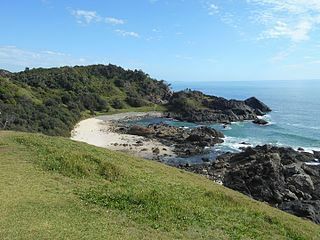 Port Macquarie is a picturesque beach town on the eastern coast of New South Wales. It is situated about halfway between Sydney and Brisbane. The city is home to more than 45,000 residents, and visitors flock from around the world to surf the area’s beautiful beaches. The area is also known for its abundant wildlife, including koalas, kangaroos and more. Port Macquarie houses the Billabong Zoo and Koala Preservation Society’s Koala Hospital to care for sick or injured animals while maintaining the delicate ecosystem of the region. The climate in the region is characterised by warm summers and mild winters. Rainfall is frequent, making the area ideal for farming and agriculture. The ample rainfall in the area is a big help, but alone, it can’t cover all of the water needs for the area. Heritage Water Tanks aim to remedy this disconnect. Store More Water in Port Macquarie. Climate change is a phenomenon that is happening around the globe. We are beginning to see the effects in Port Macquarie as well. Over time, the weather will continue to change, leading to less rain and greater fluctuations in temperature throughout the year. To do our part to help our clients conserve as much water as possible, we design our water tanks with gutters. This innovative system collects rainwater that falls on the roof of the tank, preventing it from running off and going to waste. Overall, this results in an increase of 22 percent of the total water stored. This can really add up over time, helping your operation to be more efficient. We operate throughout NSW including Cooperabung, Hacks Ferry, Telegraph Point, Blackmans Point, Fernbank Creek, Flynns Beach, Lighthouse Beach, Limeburners Creek, North Shore, Port Macquarie, Riverside, Settlement City, The Hatch, Thrumster, Bonny Hills, Lake Cathie, Crosslands, King Creek, Lake Innes, Pembrooke, Rawdon Island, Redbank, Sancrox, Wauchope, Yippin Creek and surrounding areas.